Since 2000, the OECD Programme for International Student Assessment (PISA) has been measuring the skills and knowledge of 15-year-old students in over 70 countries. 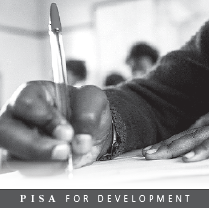 PISA does not just examine whether students have learned what they were taught, but also assesses whether students can creatively and critically use what they know. Of course, such international comparisons are never easy and they aren’t perfect. But they show what is possible in education, they help governments to see themselves in comparison to the education opportunities and results delivered by other education systems, and they help governments to build effective policies and partnerships for improving learning outcomes. How can we compare education systems that are so different? Does education really pay off? Has public spending on education been affected by the economic crisis? How are education and employment related? tertiary-educated adults earn about 60% more, on average, than adults with upper secondary as their highest level of educational attainment? Or that between 2010 and 2012, as countries’ GDP began to rise following the economic slowdown, public expenditure on education fell in more than one in three OECD countries? 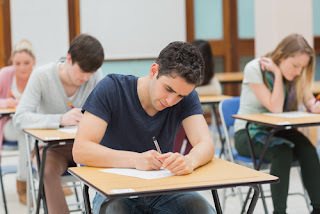 One of the claims one hears frequently these days is that American students have no time for learning because they are permanently subjected to standardised testing, while Finnish students, in turn, live in that paradise where high learning outcomes are achieved by everyone without any testing. It is difficult for us here in Paris to think about much else beside the innocents who lost their lives last week during the senseless, brutal attack that shook our city. Our thoughts are with their families and loved ones; our spirit remains firmly fixed on the values we cherish: liberté, égalité, fraternité. In the aftermath of these horrific events, fraternité becomes more than an ideal; it is the necessary glue that binds our societies together. 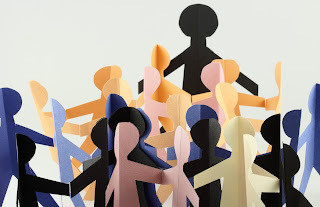 It is in this context that we invite you to consider what PISA results show about the crucial role schools play in building our communities, particularly for immigrant students. A full report on this issue will be published in the near future. PISA in Focus No. 57 Can schools help to integrate immigrants? Mario Piacentini PISA á la loupe No. 57 L'école peut-elle aider á l'intégration des immigrés? The Korean economy has seen significant growth in the past decades. However, much of the economic growth has been supported by intensive labour resource utilisation. 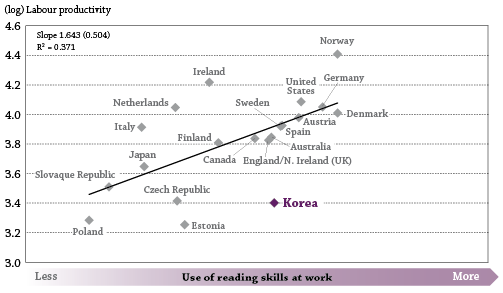 Korean workers work the second longest hours among OECD countries. This is not sustainable in the long-term because Korea’s working age population is projected to decline from 2017 onwards. The growth rate of GDP per capita is on a downward trend. Ensuring that Korea’s economy continues on the path to growth will mean raising employment levels and increasing the labour productivity of its workforce. Skills are central to both higher employment levels and productivity growth. Better skills, effective labour market policies and stronger incentives to work and hire can raise employment levels. And improving the quality and relevance of skills, as well as the effective use of skills in workplaces, is essential for increasing productivity.